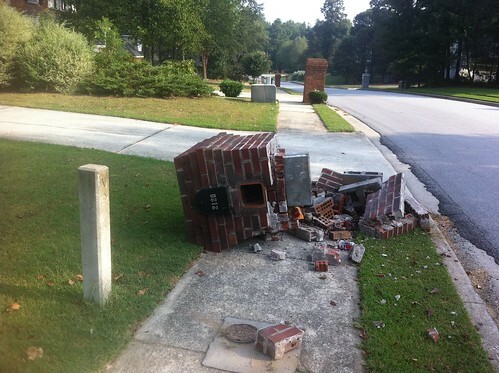 I’m glad to hear the old lady is ok, but poor mailbox! One would expect more resilience from a bricks one! Well, to be fair, her car was pretty messed up. I mean, the mailbox gave as good as it got.